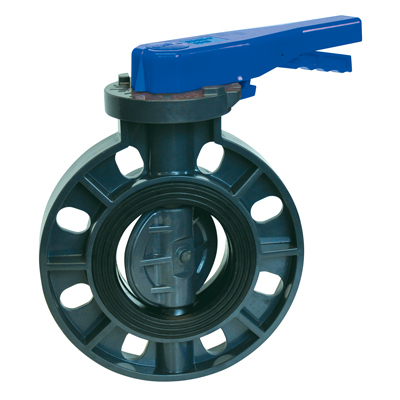 4" PVC Economy Butterfly Valve | U.S. Plastic Corp. Compact, light weight design Full boot seal for durable performance. No flange gaskets required. 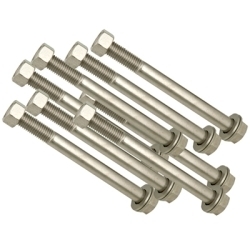 ANSI B16.5 Class 150 & DIN Flange Pattern Impact-resistant ABS Handle with position indicator. Pressure rating for 4" PVC Economy Butterfly Valve is 150 psi non-shock water @ 73°F, 100% Bubble tight seal, and Stainless Steel Stem. Butterfly valves are PVC with EPDM seals.